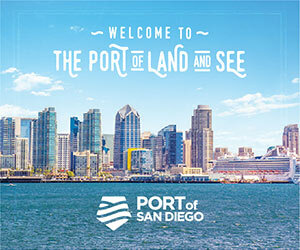 The Port of San Diego has announced that visitors to the North Embarcadero of the San Diego Bay waterfront will have a new spot to take that perfect sunset photo and enjoy the views of the harbor next spring (2016). 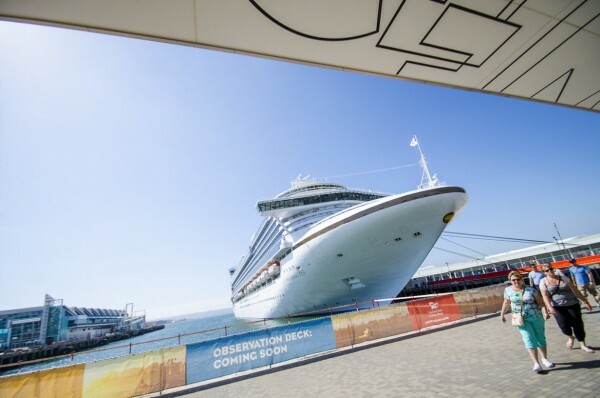 As part of the port’s efforts to promote a vibrant and active waterfront, it will convert a 2,400-square-foot concrete platform into a viewing platform to complement the recent improvements in the area. The Board of Port Commissioners approved a resolution awarding a contract for the project at its October 6, 2015 meeting. The concrete platform is located between Broadway Pier and B Street Pier on North Harbor Drive. It was previously the location of the Bay Café building, which closed in 2014. The Bay Café was operated by Star and Crescent Boat Company, who removed the Bay Café building as part of its lease agreement with the Port. The building was demolished in February 2015, but its concrete platform was left intact. It has been fenced off from the public since then and will continue to be until construction is completed. Improvements to the platform entail concrete surfacing, adding illuminated stainless steel railings and trench drains. It also includes structural below-deck repairs to the piles supporting the platform.